Basement remodeling not only has the potential for a fun adventure, but can also be a practical way to add quality and value to your home. Transforming your basement into a more enjoyable living space is a great opportunity to take advantage of the space you already have. 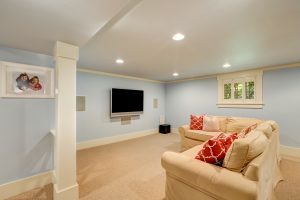 Consider these five benefits of basement remodeling related to your own life and goals. One benefit and strong motivator for remodeling, is the creation of space. This might mean separating an area for practical uses like bathrooms or bedrooms, but it could also pertain to ideas specific to your lifestyle. Do you love crafts and wish you had a room devoted to your own workspace? Are you a health nut longing for a home gym or dance studio? Perhaps you have kids who would love an extra playroom or secluded home theater. Or it could be you love to entertain, and want to add a kitchenette and dining area. Focus on how you can reshape and enhance the space you have based on your favorite activities. Another benefit of basement remodeling geared to your own needs and interests, is the use of space as your home office. Working from your basement is a great alternative if you need more privacy and quiet than you currently get. Being separate from other areas of the house can cut down on distractions, especially if your basement is soundproof. Additionally, a basement can have its own style and design apart from the rest of the home. This is a great benefit if you want the appearance of a completely professional home office or studio. Lastly, basement remodeling is a generally reasonable and less costly way to renovate your home, and it can be viewed as an investment. You’ll be adding quality to improve your own life, and also to drive up the value of house down the road when you’re looking to sell. 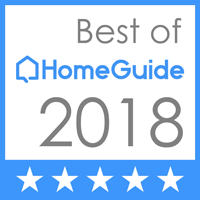 Find an experienced contractor to work with, and discover how these five benefits of basement remodeling can inspire you to transform your home.